When traveling I am trying to avoid using the underground/metro/subway because I want to see the city I am visiting, but sometimes for long distances it is much quicker than any other form of transport. So which city has the cheapest underground system? I'm looking for the cheapest available single fare price. It is okay if I have to use a pre-paid card as long as I can buy it right in the station. In 2008 the price for a single ride was 2 pesos or € 0.10 (US$ 0.15), it is now up to 3 pesos, but that is still very cheap. Price ranges reflect shortest to longest rides in most cities. Tourists are most likely to pay the lowest price. I'll stop there, as they just get more expensive after that. 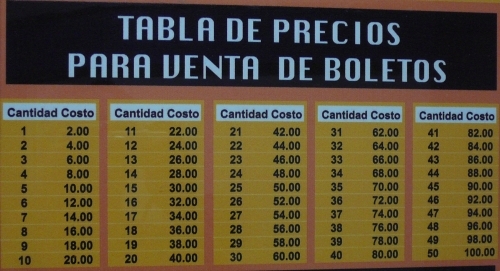 So according to this, Mexico City prices have gone up to US$0.24 now, so your best has now lost out to a few other cities, and now Caracas would probably take the prize. I'd like to add a second answer, because it's one that is cheaper but not generally accessible to do individually as a traveller. "The Pyongyang Metro, in North Korea was designed to operate every few minutes. During the rush hours, the trains can operate at a minimum interval of 2 minutes. It is also one of the cheapest in the world to ride, at only 5 KP₩ (about $0.03 USD) per ticket." Technically there's a $0.00 free-fare zone on the light rail train in Minneapolis as well as the tramway network in Tallinn, if you consider either of those a metro. The already low fares in Ukraine are even lower now (converted to USD) because of the recent currency devaluation. You can take the London Underground for free between terminal 5 and terminals 2/3 at Heathrow. You will need an oyster card or contactless payment card though. As of Jan 2018 exchange rate of USD-INR, Delhi Metro has lowest fare of just 10 rupees or 16 US cents which I think is the lowest or second lowest in the world. Not the answer you're looking for? Browse other questions tagged trains public-transport budget where-on-earth factoids or ask your own question.